You must be a member of the Paris Cultural Expeditions Group to attend this activity. Would you like to join this group? After our last movie outing: Bohemian Rhapsody , winner of Golden Globes Protected content , this time I suggest discovering Clint Eastwood's latest, which it might be his last one at 88. The Mule is a Protected content mystery film produced and directed by Clint Eastwood, who also plays the lead role. Along with Eastwood, the film stars Bradley Cooper, Laurence Fishburne, Michael Peña, Dianne Wiest, and Andy García. It is Eastwood's first acting project since Protected content Trouble with the Curve, and his first starring role in a film directed by him since Protected content Gran Torino. 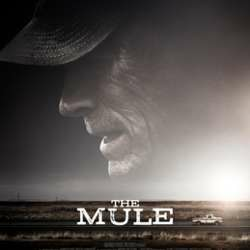 The Mule was released in the United States on December 14, Protected content , by Warner Bros. Pictures. It has grossed over $102 million and received mixed reviews from critics, who called it "poignant and charming" and praised Eastwood's performance, but also noted the lack of true dramatic heft. After the film we could grasp something to drink and eat.